The Northern Football Netball League’s best footballers, netballers and umpires were recognised at the 2018 Rosbrook Medal Night on Wednesday. 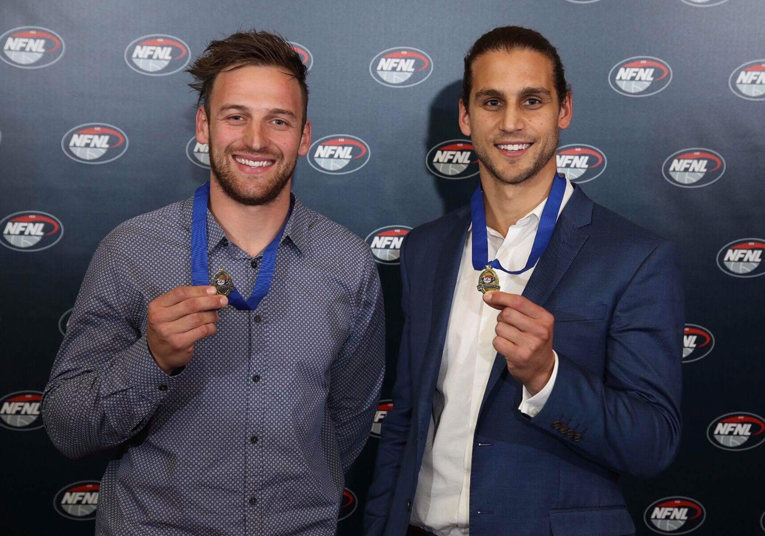 Heidelberg skipper Michael Brunelli and Macleod midfielder Lucas Hobbs shared the Frank Rosbrook Medal as the best and fairest player in Meadows Greyhounds Division 1. Brunelli was runner-up to Matthew Dennis for the 2017 award and this year went one better. It capped a big three seasons for Brunelli – who guided the Tigers to the premiership in 2016. Hobbs is the first Macleod player to win the Division 1 seniors best and fairest since Geoff Noble won the award for Macleod-Rosanna in 1969. 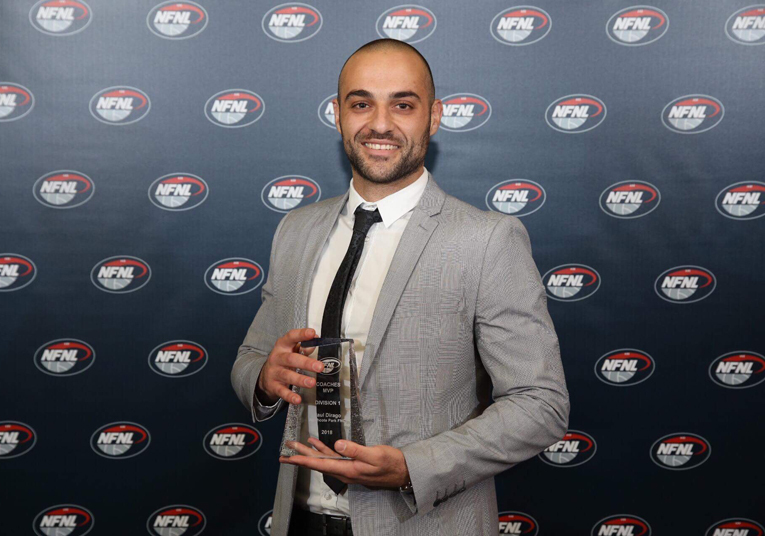 A four-time NFNL representative, he represented Vic Metro this year and helped steer Macleod to a fourth-consecutive grand final. Brunelli and Hobbs polled 21 votes to finish two ahead of Macleod defender Ned McKeown. 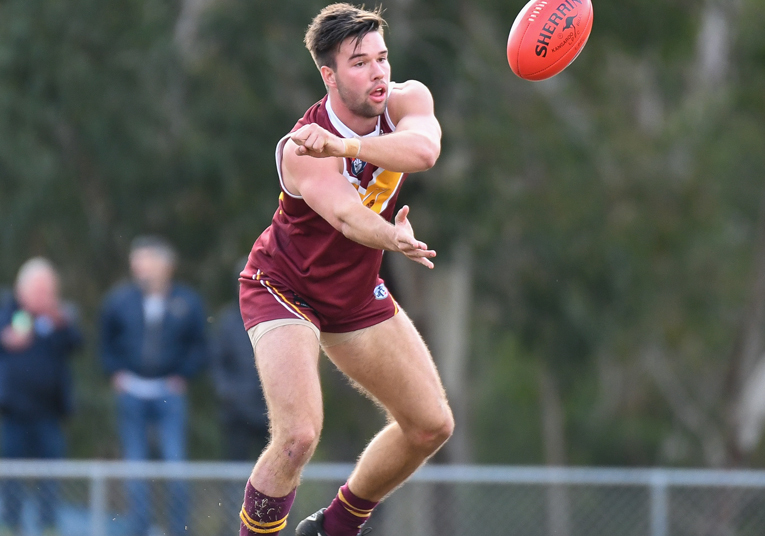 Bundoora livewire Peter Hood, West Preston-Lakeside ruckman Mark Kovacevic and North Heidelberg midfielder Jesse Tardio finished on 15 votes. 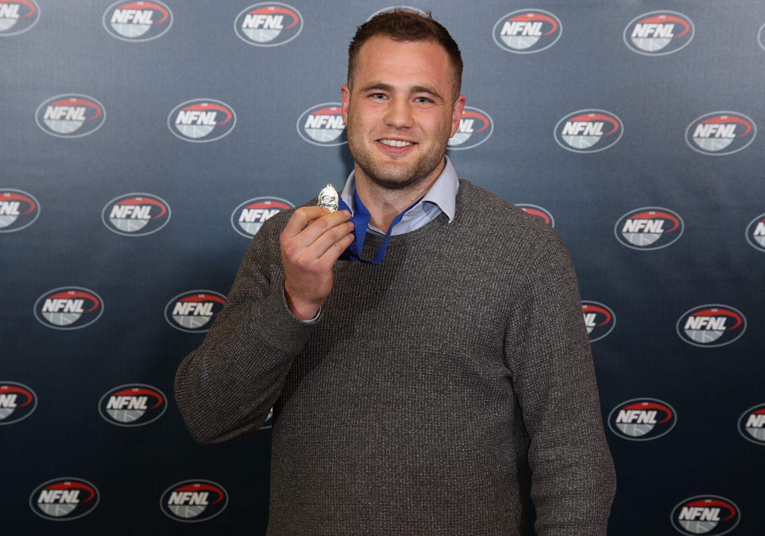 Lower Plenty skipper Patrick Flynn capped a massive week by taking out the A Plus Labour Solutions Division 2 best and fairest. Just four days earlier Flynn was best afield in the Bears’ remarkable six-point grand final win over Eltham. Heidelberg West ruckman Jarryd Coulson went back-to-back for the Heidelberg Golf Club Division 3 best and fairest. In doing so, he became the first multiple winner of the third division award. 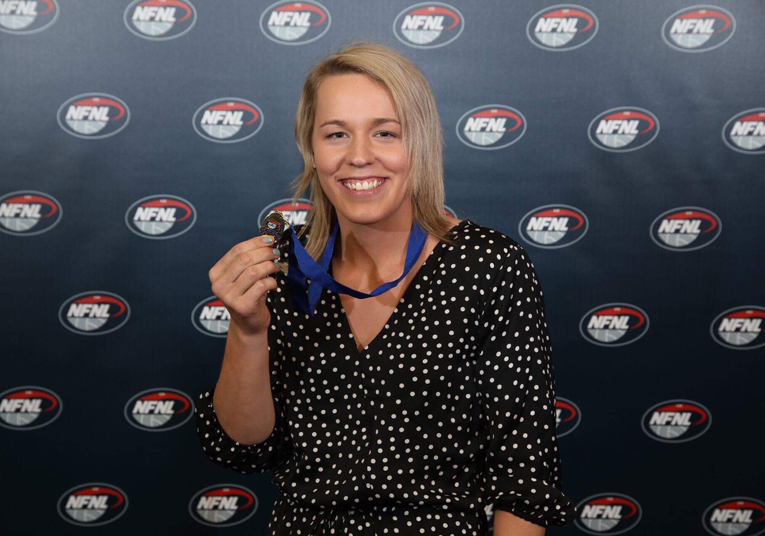 Keilor’s Sarah Wright won the ANZ Women’s Division 1 best and fairest – polling 24 votes to finish 10 votes clear of her closest rival. Wright also won the 2017 Western Region and Essendon District Senior Women’s Football League best and fairest award. 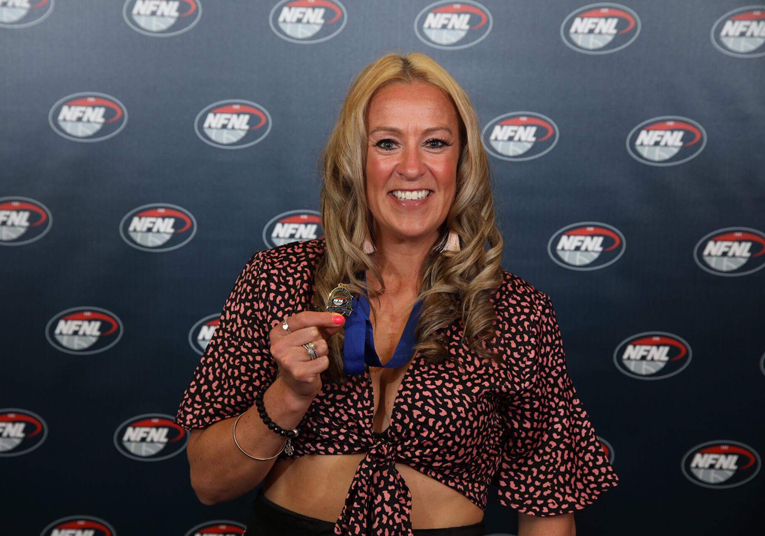 Catherine O’Bryan triumphed for the ANZ Women’s Division 2 best and fairest after also winning the best on ground medal in West Preston-Lakeside’s grand final win, while Bundoora premiership star Rainbow Ebert won the ANZ Women’s Division 3 best and fairest. Diamond Creek star Stacey Gannon won her third Section 1 netball best and fairest after this year guiding the Creekers to their ninth-successive premiership win, in which she was best afield in the grand final win. Gannon also won the best and fairest award in 2012 and 2010. Other netball best and fairest award winners were: Chloe Gray (Diamond Creek) and Lauren Henderson (Ivanhoe, Section 2); Holly Denholm (Craigieburn) and Crystal Phillips (Heat, Section 3); Ciara Hanlon (St Mary’s, Section 4); Natalie Montanari (Epping, Section 5); Natasha Atkinson Brown (Keon Park, Section 6); Amy Goodwin (Whittlesea, Section 7); Montana Powell (Reservoir, Section 8); Holly Ditchfield (Montmorency, Section 9); Maddison Filev (Watsonia, Section 10) and Michelle Soon (Thomastown, Section 11). Northcote Park defender Paul Dirago was named the Division 1 Coaches MVP. 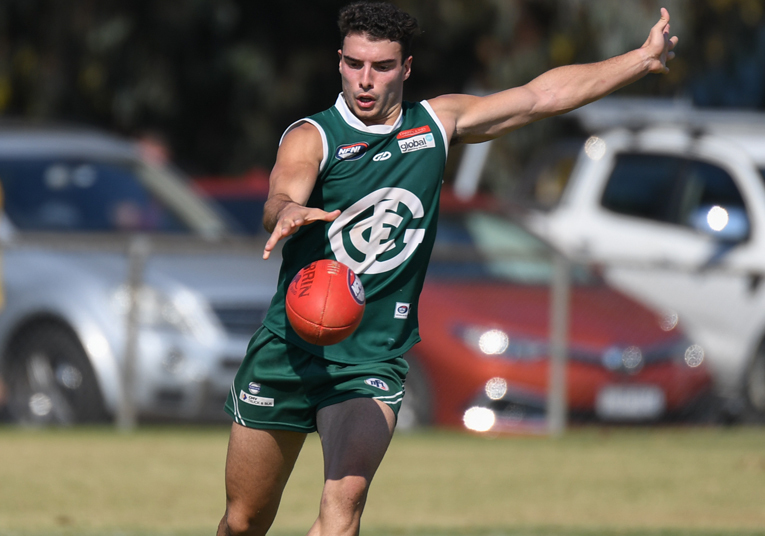 Eltham midfielder Brent Macaffer took out the award in Division 2, while Laurimar’s Mitchell Thompson was the Division 3 winner. Meanwhile, Sarah Wright did the double to take out the Division 1 Women’s Coaches MVP. La Trobe University’s Kate Bond won the Division 2 award, while St Mary’s Stephanie Trkulja was the winner in Division 3. 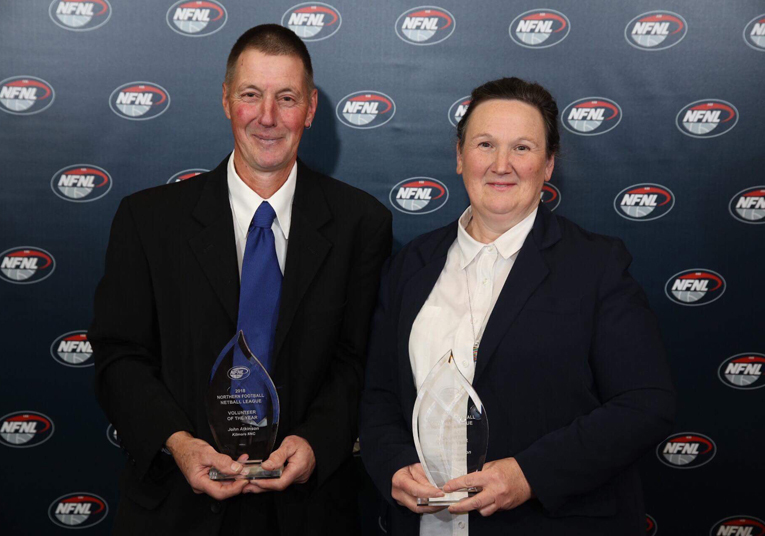 St Mary’s was named the 2018 Senior Club of the Year, Adam Walker was awarded Best Senior Umpire, Laura Crowther the Netball Umpire of the Year, while Kilmore’s John Atkinson and Panton Hill’s Carol Jenkinson shared the Volunteer of the Year award. Below is the list of award winners from the 2018 Northern Football Netball League best and fairest awards. 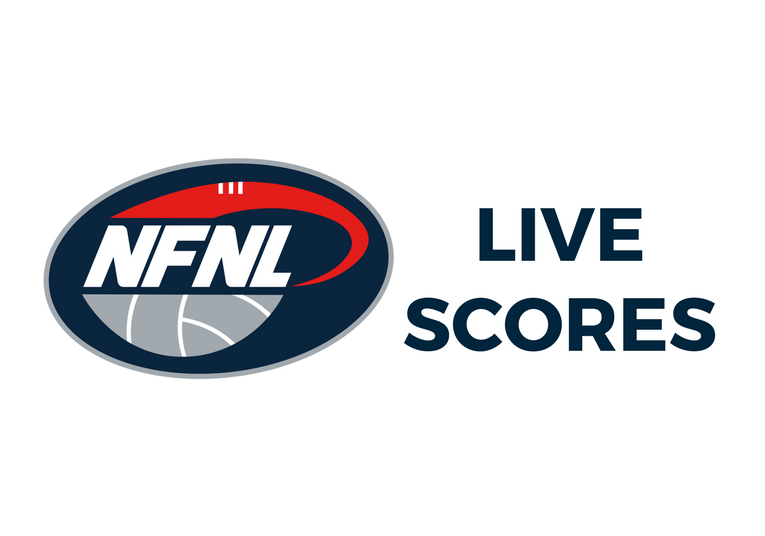 For the full football and netball best and fairest vote listings, as well as the Coaches MVP votes listings, please click on the links below.